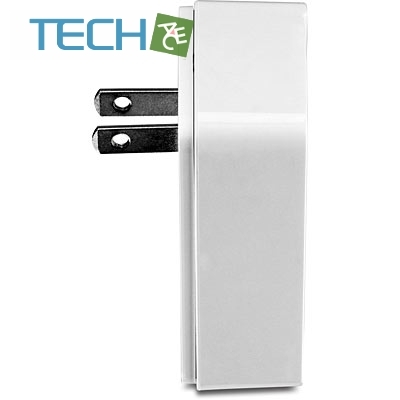 This product is used, but tested and fully functional. 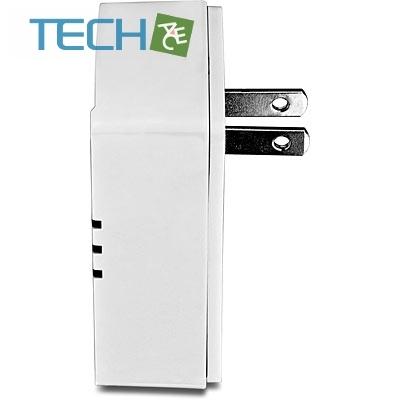 The display-carton is not in a nice shape, but all standard accessories are included. As this item is an RMA item, we cannot provide any warranty! 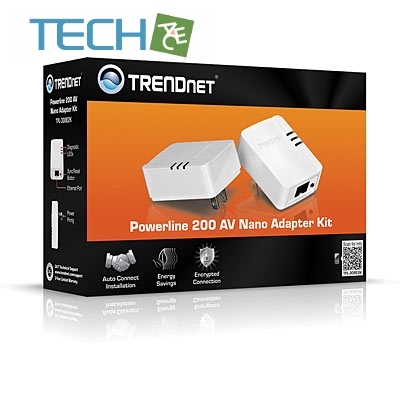 The Powerline 200 AV Nano Adapter Kit, model TPL-308E2K, uses an electrical outlet to create a secure high speed network. 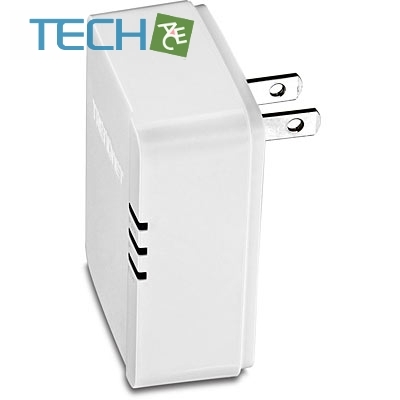 Connect the first adapter to your network and plug the second adapter into an outlet on your electrical system for instant high speed network access. 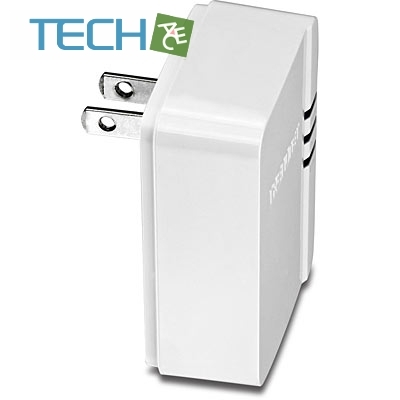 The compact form factor saves space around crowded electrical outlets. 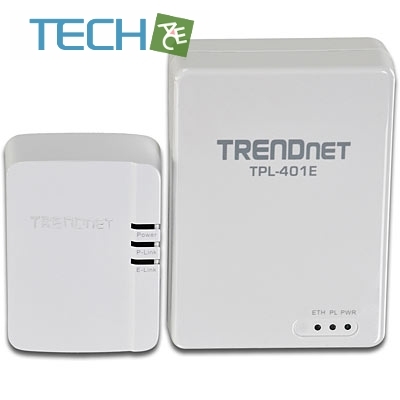 This adapter automatically connects to other TRENDnet Powerline AV adapters with no installation required—TRENDnet recommends pressing the ‘Sync’ button to automatically change default encryption keys. 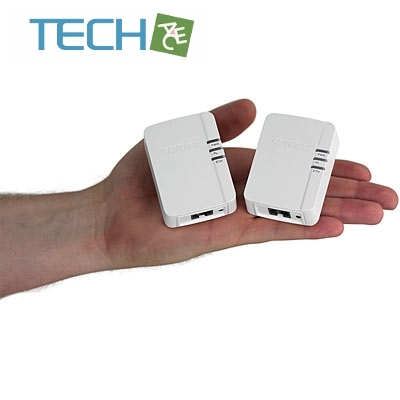 * Maximum of 4 adapters (nodes) recommended for streaming video across your network. 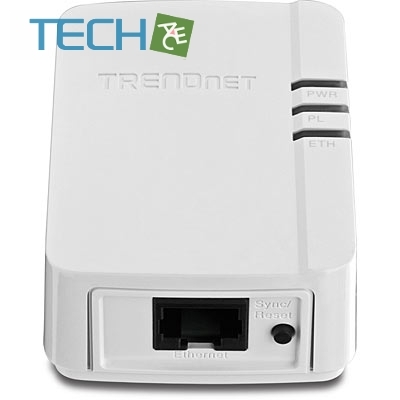 ** 200 Mbps is the maximum theoretical Powerline data rate. 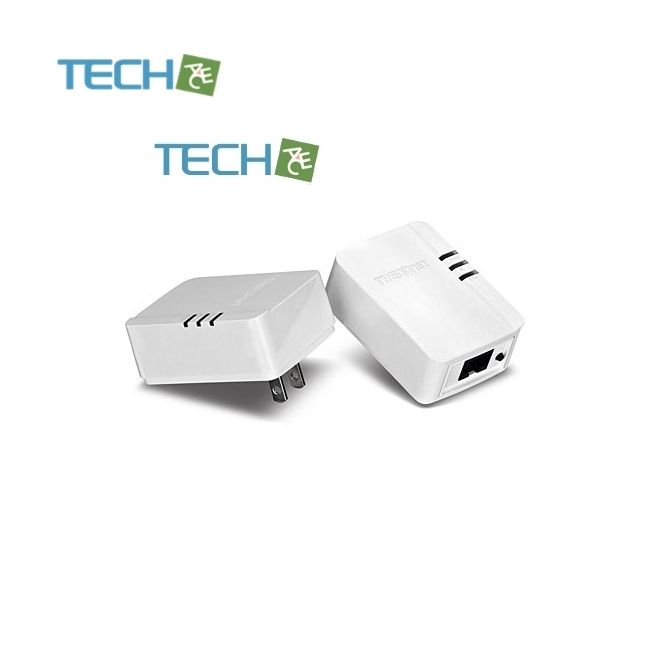 Actual throughput will vary depending on environment.